Suppliers gain a larger Nashville audience here. Your Nashville area clients are here with us! 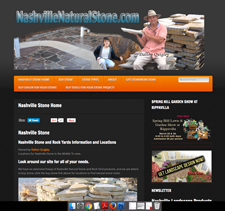 The majority visitors to our websites are from the city of Nashville and the surrounding cities. We found when ever clients are searching for Soil, Sod, Mulch, Natural Stone, Landscaping, Designing outdoor spaces, Drainage, Hardscapes, Waterfeatures, Lighting and more. A visitor to our site is interested in purchasing Landscape products and equipment many of whom are contractors of a variety of types and homeowners who are doing outdoor improvement projects. Contractors and homeowners do multiple searches to find what they need. The contractor or homeowner who searches for sod is also the same one who regularly searches for mulch, and soil. These people are doing projects and need supplies and contractors to do a project for them. We partner with suppliers contractors need. This is an opportunity to get your business more exposure with those who buy outdoor supplies and equipment in the Nashville area. We have the websites that they find when searching for what you sell, we have an opening to take on another sponsor. Websites that get the attention of contractors and homeowners. 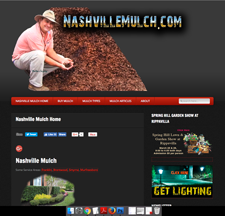 Some of our websites are NashvilleLandscapeDesign.com, LandscapeNashville.com, NashvilleSoil.com, NashvilleMulch.com, NashvilleSod.com , NashvilleNaturalstone.com, NashvilleDrainage.com NashvilleHardscape.com actually 20 sites. Each of our websites link over to the other websites sharing the traffic and keeping visitors from going back to do another search. We have couple different ways businesses who cater to the outdoor landscape market can advertise. You can choose to be on a topic centered website or across our whole network. 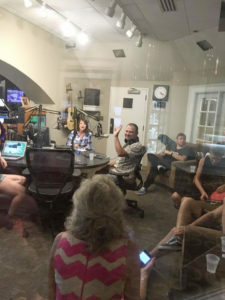 Nashville Dirt Radio Show on WSM 650AM Radio. 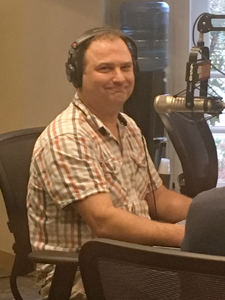 Once every month during the year I speak on landscaping topics in the Nashville area on WSM radio. This helps to bring new visitors to the network of websites. Videos that bring in contractors and homeowners. Our Youtube channel has over 350 videos where Nashville residents and contractors are getting to know Dalton Quigley and the network of websites. These video commercials and DIY videos are running 24/7 with thousands of views per month peaking at around 12,000 a month in the spring. A person on google searches for what they need and many times our video shows up right there guiding the visitor to our websites where they will find your company. We are selective about our sponsors and we reserve the right to turn away any business who we feel doesn’t make a good fit with our presence. Images that bring in contractors and homeowners. Red arrows point to our images. 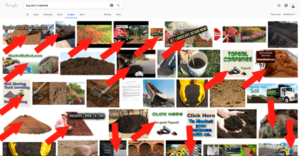 Many years of producing images has created thousands of images that promote our sponsors 24/7, just click the google images tab and check for popular landscape keywords and you will see just how powerful our presence is. You get found when you partner with us as a sponsor. A list of current sponsors, some who have been with us for many years. 615-715-8216 I can also receive texts. 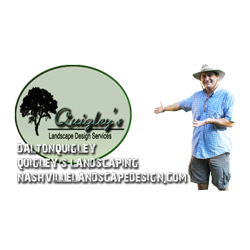 Dalton Quigley owner of Quigley’s Landscaping attained a degree in Web Graphic Design to bring his projects and local suppliers to the Nashville landscape product market. Over 20 years of landscape / hardscape knowledge combined with the modern power of the web. Quigley’s network of websites include sites dedicated to topics like design, landscaping, mulch, sod, soil, drainage, hardscapes, water features, plants, outdoor and landscape lighting, landscape supplies, lawn care, natural stone and stonework, and decks and fences. Having a huge audience of visitors makes us valuable to you as a partner. Local videos Nashville viewers watch. Every day, week, and month thousands of Nashville area folks are finding our videos of which there are over 350, images which there are many thousands, and websites. These visitors are contractors, and homeowners of every type and market. Our local sponsors have given us feedback like ( ” we get over 50 orders per month from being on your website” ), and our sponsors have been with us for many years. Like most businesses our sponsors are smart people who put their money where they get results, that is just the business model of today. Contact to become a sponsor. Get in touch with us today about how you can be a part of the Quigley’s Landscaping network. Sponsors must be in compatible industries. Who could work as a supplier we would like to have? 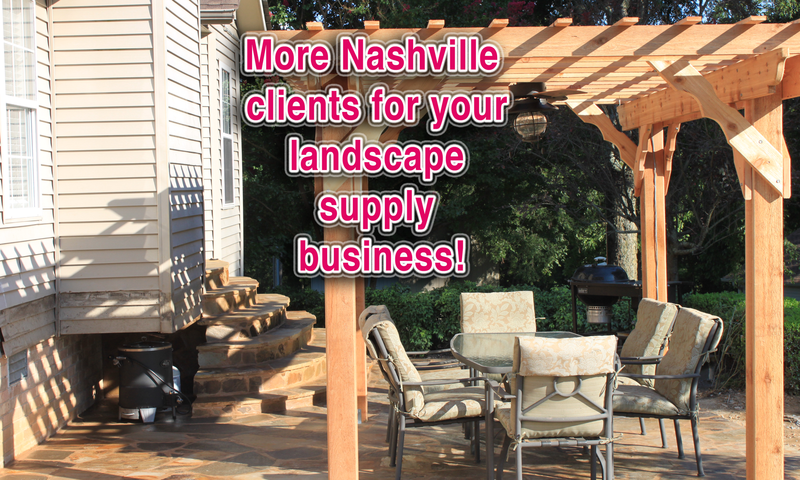 An equipment rental company, Lawn spraying companies, Nursery suppliers, any supplier to the local Nashville market of soil, sod, mulch, stone, compost, plants, pavers, concrete, any type of patio, outdoor structures, pools etc. If you aren’t sure if we make a fit it doesn’t hurt to ask.